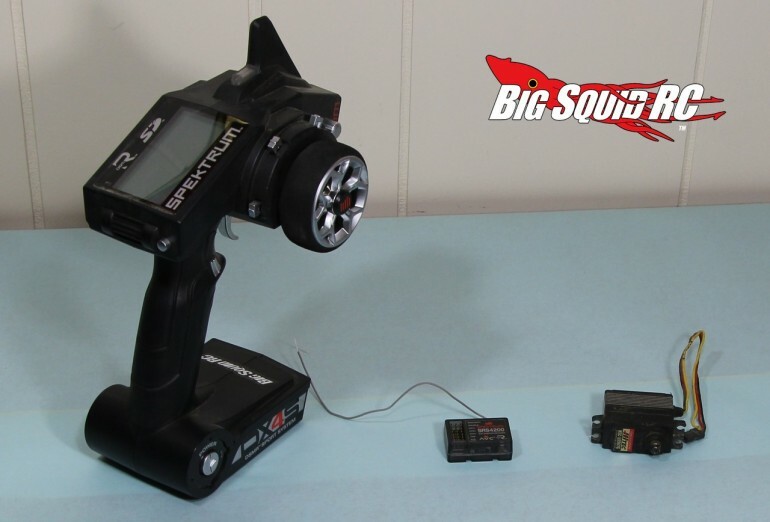 AVC Basics for Bashers « Big Squid RC – RC Car and Truck News, Reviews, Videos, and More! Since we first got our hands on AVC Stability Control we have found it an invaluable tool for making our trucks easier to drive. Today we’ll be doing a short tutorial on what parts and pieces that it takes to put AVC in your truck. In later installments we’ll go over how to calibrate and install the AVC system, as well as how to fine tune it to your needs. Why do we use AVC in our bash trucks? We don’t normally use it in high traction conditions, however, when the going gets slick we dial up the AVC. Stability control helps keep our over powered bash trucks from constantly spinning out when we get on the gas. With the AVC dialed up we can get on the gas harder coming out of corners and it can help us drive a straighter line when pounding the gas on a straightaway. What vehicles can you install AVC in? All types really, from that electric Losi Mini-T of yours all the way to an HPI 5B gas buggy, AVC can work in them all. Short course, drag cars, buggies, truggies, whatever you might have, AVC can make them easier to drive. Exactly what is needed to put AVC stability control in your truck? 1. The “brain” of the AVC stability control is the receiver, therefore you’ll need a Spektrum 4210 receiver. 2. A DSM2 Spektrum transmitter. Because the brain of the AVC control is in the receiver, you’ll need a transmitter that will bind to it. 3. Digital servos. The AVC technology only works with digital servos, so if you are running an electric car you’ll need a digital steering servo, if your install is in a nitro or gas car, you’ll need digital steering and throttle servos. Does it matter which brand? We’ve used AVC with Spektrum, Futaba, Hitec, Savox, and Xpert digital servos without issue. That’s it! In our next installment we’ll walk you through an actual install and set-up process of an AVC system in our review Pro-line PRO-MT. Want more AVC information right now? Check out This Link over on the official Spektrum website. Want more AVC information on BigSquidRC? This Is The Link you want.